Fly-Fishing and Big Game Hunting Outfitter and Guide Service located near Lincoln, MT, in the Upper Blackfoot River Valley. Fishing "Daytrips", and Multi-day Fish/Camp trips. 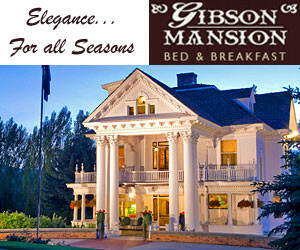 A full service hotel with Bar and Restaurant recognized on the National Register of Historic Places. Friendly service, clean rooms. Offering bunkhouses and extra services to cyclists, bikers, hunters and hikers. Located 80 miles east of Missoula. Fish, camp, hike, hunt and snowmobile in the Blackfoot River Valley. View wildlife at Sun River Canyon. Explore the Bob Marshall/Scapegoat Wilderness. Visit the Blackfoot Valley Historical Museum or attend the annual dog sled race. A service station, eateries and overnight accommodations are located in Lincoln. 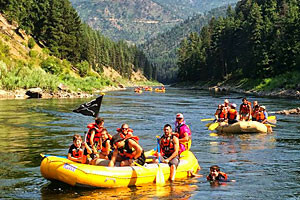 Lincoln, Montana is a small town that offers big-time outdoor fun with mountainous landscapes lying in nearly every direction. Located in the Blackfoot River Valley, and adjacent to the Bob Marshall/Scapegoat Wilderness, it's the ideal jumping-off point for camping, fishing, hiking, horseback riding, snowmobiling and skiing adventures. A drive west of Lincoln takes you through the Blackfoot River Valley and the small town of Ovando; directly north of Lincoln, just outside of Augusta, is the gorgeous Sun River Canyon. The town embraces tourists year-round and provides several accommodation and dining establishments, casino, gift shop, museum, and service station. Lincoln is located along MT-200, roughly 80 miles east of Missoula. Stay at one of several motels or at the local campground/RV park. Tent campers will find plenty of campgrounds in the Wilderness Areas and National Forest. Local family restaurants serve up tasty homemade fare and you can also grab a bite at the casino lounge or local bar. Fill the car at the gas station, stock up at the grocery store, explore the gift shop/trading post, and browse through the art gallery and museum. During summer, retreat into the Bob Marshall/Scapegoat Wilderness for a chance to recharge your batteries in pristine surroundings. Camping, fishing, hunting, and horseback riding are popular activities here. Fisherman can also remain in the valley and cast for rainbows, browns and cutthroat trout on the Blackfoot River. And if you're a history buff, be sure to visit some of the old local mining camps. During winter, join the folks from Lincoln’s snowmobiling club and roar off down more than 250 miles of groomed trails in the surrounding area. Cross-country and snowshoeing trails are also plentiful and easy to find. Open year-round, the Blackfoot Historical Museum highlights the area's history including Lincoln’s beginnings as a gold rush town. For a unique wintertime experience, visit Lincoln during February and attend Montana’s Race to the Sky dog sled race. This challenging 350-mile race begins and ends in Lincoln and takes sledders and dogs through some truly rugged terrain. To reach Lincoln from Missoula, head east on I-90 for 5 miles before taking exit 109 for MT-200 E towards Bonner/Great Falls. Continue straight on MT-200 E for approximately 72 miles. Keep your camera handy along the journey as you pass through the picturesque Blackfoot River Valley.